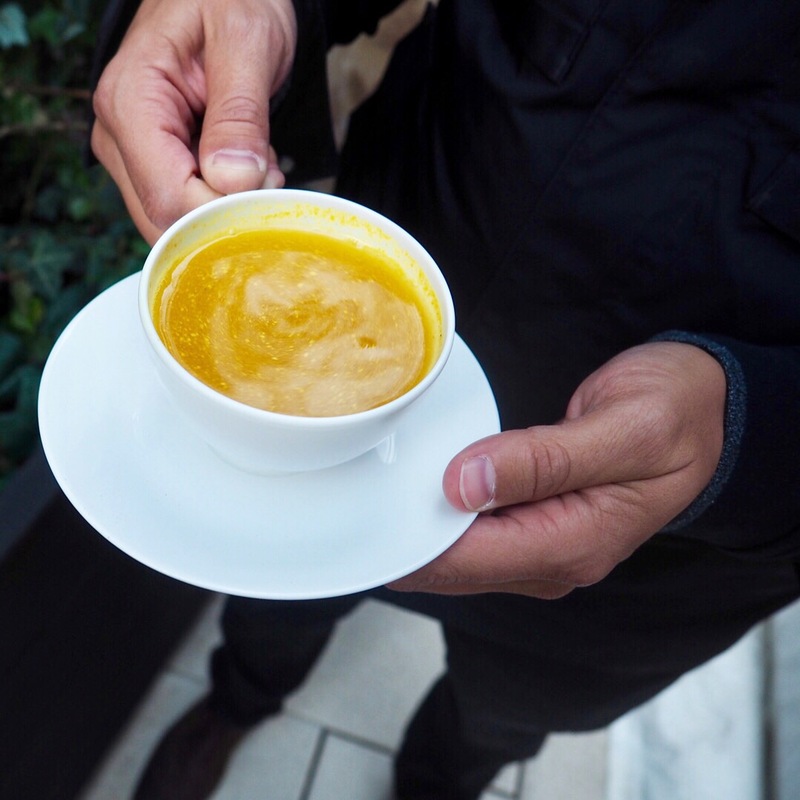 “Golden milk” is also known as “turmeric milk,” and that right there gives away the ingredient that makes it all happen! Turmeric is a huge superstar when it comes to caring for our joints. 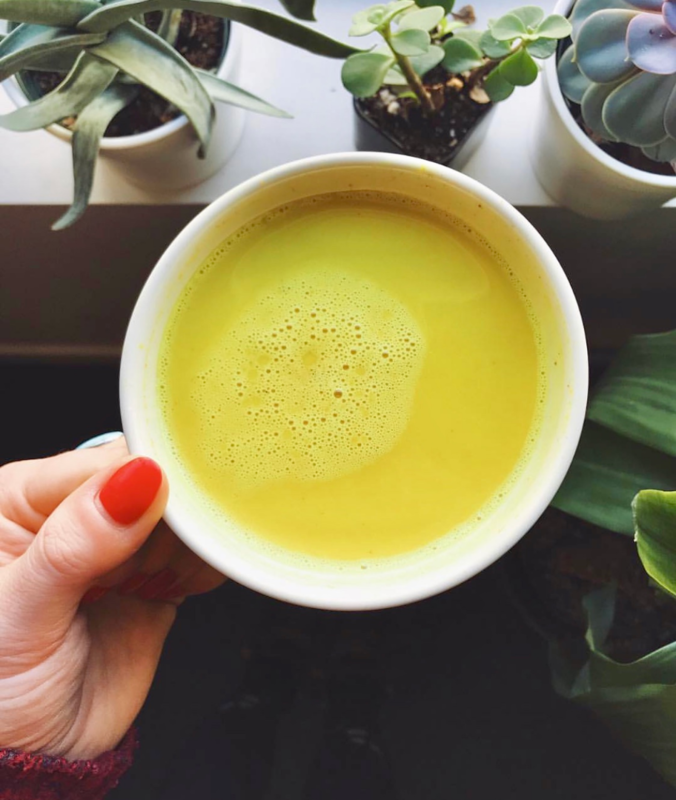 We’ll tell you the many reasons we should drink golden milk for our joints in a moment, but what is turmeric? Turmeric is a golden-yellow spice brought to us by India. It is well known in traditional medicine for its anti-inflammatory properties, and Western medicine is starting to take notice. It is currently being studied for its role in helping people with cystic fibrosis as well as different cardiovascular and neurological diseases like Alzheimer’s. Studies are still being done to see if we can scientifically “prove” that turmeric is amazing for your joints, but for now we at least know for sure that the spice is super effective at preventing inflammation and arthritis pain. The reason for all of these amazing benefits is a compound in turmeric called curcumin. While curcumin is responsible for turmeric’s anti-inflammatory properties, it is not absorbed easily by the body. Usually it is recommended that we take curcumin (aka turmeric) with an absorption enhancer such as black pepper. Luckily, golden milk generally calls for black pepper anyway! Golden milk is incredible for our joints. Let’s find out why. Turmeric reduces inflammation by preventing the activation of the main protein involved in inflammation. 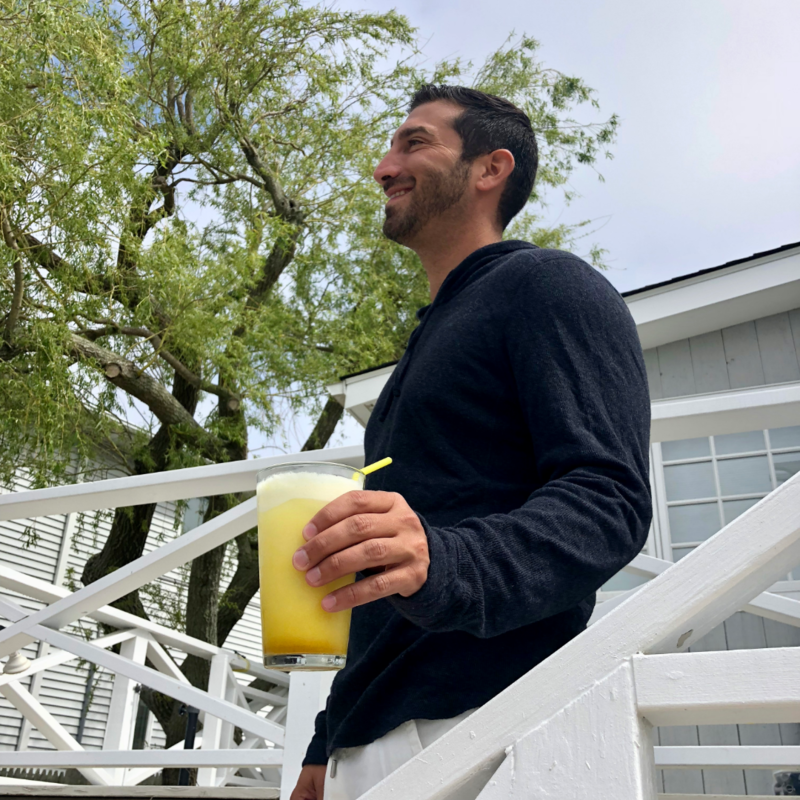 This is thought to be helpful in protecting our bodies from diseases brought on by inflammation like certain cancers, arthritis, IBS, and even allergies. Persistent oxidative stress (aka an imbalance between free radicals in the body and the body’s ability to counteract the harmful effects of those free radicals) can lead to deformity in joints and cause arthritis, and turmeric protects against oxidative stress! Depression often goes hand in hand with chronic pain—the kind you might be experiencing if you have a condition such as arthritis. Curcumin, according to a 2014 study, was shown to help alleviate symptoms of depression. Turmeric has shown analgesic effects in acute pain. Joint pain can be exacerbated by exercise-induced muscle soreness, and turmeric has been shown to help with exactly that! Turmeric is totally safe for children, meaning it can be helpful in soothing juvenile arthritis. Curcumin inhibits the action of pro-inflammatory enzymes COX (cyclooxygenase) and LOX (lipoxygenase), unlike regular anti-inflammatory medications which inhibit only COX. Curcumin does this by regulating pathways of these enzymes. In autoimmune disorders like rheumatoid arthritis, the immune system starts to attack its own body tissue by producing antibodies. Curcumin present in turmeric inhibits the activity of these antibodies. Curcumin protects our bones and joints from erosion in arthritis. Curcumin also prevents thickening of synovial fluid—the stuff that lubricates our joints and protects our cartilage. According to a 2016 study, curcuminoids prevent loss of bone tissue and slow down the progression of osteoarthritis. How? By reducing the activity of osteoclasts (bone cells that absorb bone tissue) and maintaining osteoblast function (cells that lay down bone tissue). Curcumin prevents loss of articular cartilage (that smooth, white tissue that covers the ends of bones in joints and ensures joint flexibility) in osteoarthritis. Curcumin alters your genes…in a good way! It counteracts errors in gene regulation that play a role in the progression of arthritis. These errors are called epigenetic aberrations, and interestingly enough, no other arthritis medication inhibits them. Curcumin inhibits growth of bacteria, viruses, and fungi, which can combat infection in arthritis. Turmeric is great for people with psoriatic arthritis. Around 30% of people with psoriasis develop psoriatic arthritis, where skin cells die at a faster rate than they can reproduce. Curcumin has been found to reverse this rate of cell death. The new ibuprofen? One study found that 1500mg of a turmeric supplement per day is as effective as 1200mg a day of ibuprofen. It’s also safer for the stomach and it adds a host of other health benefits. Similar results were found with diclofenac sodium, prednisone, and celecoxib. When taken as a supplement to celecoxib, turmeric was found to have a synergistic effect in combating joint pain. There are no side effects to using turmeric for your joints, as opposed to many other types of joint medication, which can cause some not-so-nice issues like nausea, vomiting, stomach pain, cataracts, heartburn, heart attack, and even stroke. Studies have shown that turmeric can actually be helpful in counteracting the side effects of other arthritis drugs! If you have been prescribed these drugs and are experiencing side effects, talk with your doc about using turmeric to soothe them. We’d say there’s a pretty good chance your doc will be on board with you drinking golden milk as a supplement for your joints, but definitely talk with him or her about it—especially if you’re taking a few different meds. We’ve talked about the many amazing benefits golden milk has to offer our joints, but it’s only fair that we also warn some people who should not drink the stuff (our condolences!). Those who are taking medication for diabetes. Also, if you have a surgery coming up, you should steer clear of turmeric for the time being to avoid complications during the procedure—it’s only temporary, and then afterwards you can sip ‘til you drop! Where Do I Get Golden Milk? Your friends at SUTRA already did the heavy lifting. We created a perfect golden milk for you that offers all of the benefits above while being off-the-charts delicious. It comes in easy, single-serving packets and can simply be thrown into a mug of steaming-hot water or the milk of your choice. Try topping your SUTRA Gold (hot or iced) with this vegan whipped coconut cream recipe from our blog. Blend a serving up with one of these smoothies –we recommend number 5! Sprinkle a little extra cinnamon over the top if “sweet and spicy” is your thing! Make it into bark instead! Follow this link, and try out number 5 for a pumpkin spice fix any day of the year. Berries, especially blueberries, strawberries, raspberries, bilberries, cranberries, and black currants. These contain an important antioxidant called anthocyanin. While you’re at it, make sure to avoid refined sugars, simple carbs, unhealthy fats, and food sensitivity triggers wherever possible.